Cutaway model of HIV (Human immunodeficiency virus) showing the internal composition and nucleocapsid. Protein molecules make up the capsid (light blue), a shell which protects the virus’s genetic material, delivers it into the human cell, then breaks apart to begin infection. 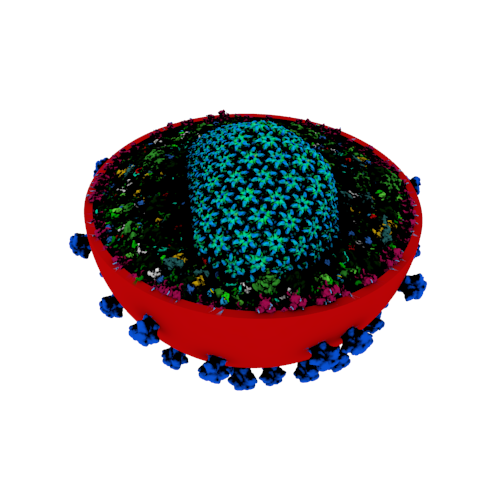 The model is magnified 1 million times om size compared to the natural size of the virus, and was created using CellPACK. 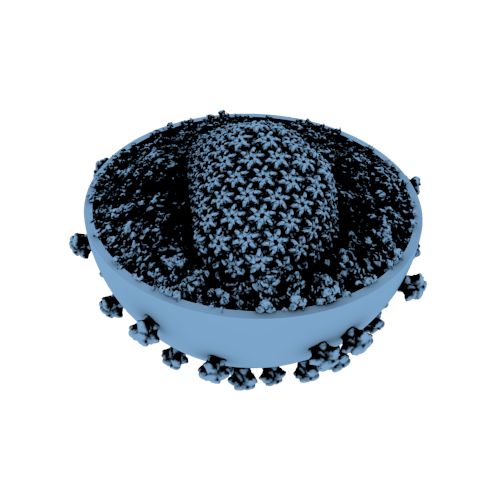 To print the entirety of the HIV capsid on its own, please see entry 3DPX-003150.